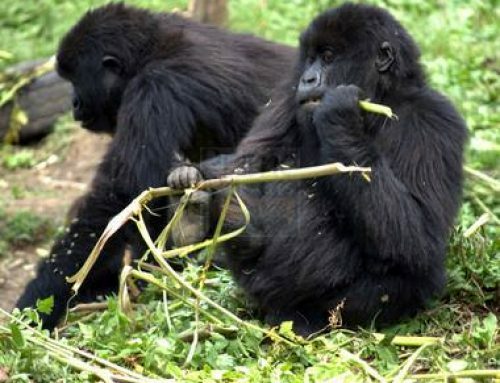 The 13 Days Gorilla Trekking Safari Uganda Rwanda Chimpanzee Tracking Tour Uganda Wildlife Safaris is an extended safari that incorporates wild game viewing, chimpanzee trekking and gorilla tracking in Uganda and Rwanda. 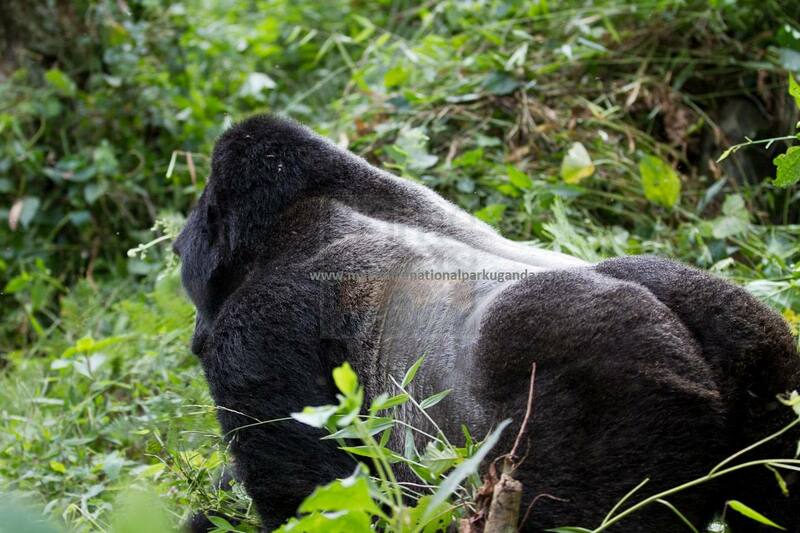 The 13 Days Gorilla Trekking Safari Uganda Rwanda Chimpanzee Tracking Tour Uganda Wildlife Safaris, 13 days Uganda Rwanda gorilla trekking safari takes you through Murchison Falls National Park with its big five of the wild game, Kibale National Park with its habituated chimpanzees, Queen Elizabeth National Park, Bwindi Impenetrable and Volcanoes National for their populations of the critivally endangered Mountain gorillas, Lake Mburo National Park well know n for its Zebra and Impala populations. 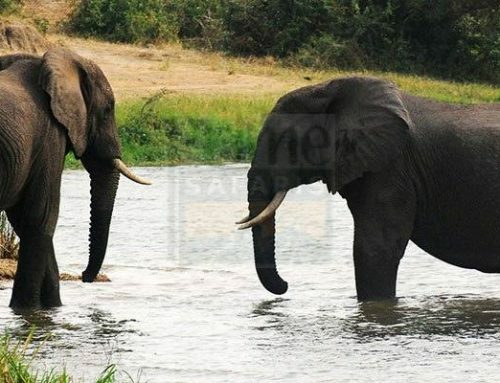 The safari also incorporates recreational boat encounters along the Nile River, the Kazinga Channel, Lake Ruhondo in Rwanda and Lake Bunyonyi which gives the safari a touch of relaxation and romance. 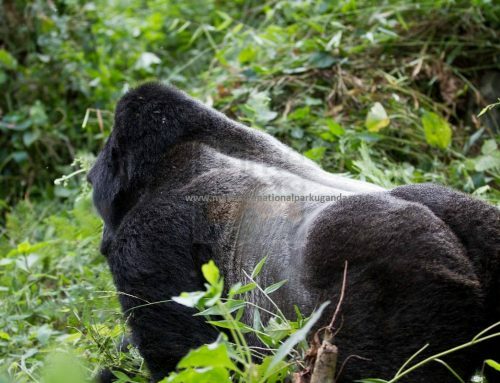 Day 13 of the 13 Days Gorilla Trekking Safari Uganda Rwanda Chimpanzee Tracking Tour Uganda Wildlife Safaris: Do a morning game walking safari & transfer to Kampala. 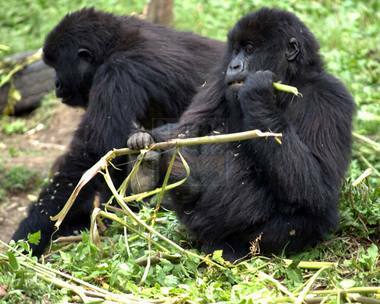 After breakfast, embark in the transfer to Queen Elizabeth National Park 157km about 2 – 3 hours’ drive from Kibale NP. You will drive along the impressive scenic views of the Mountains of the moon – the Rwenzoris towering up to 5,109m above sea level with snowcapped peaks. Upon reaching the park, you will undertake a game drive through the Crater Lake area where series of explosion craters lay with magical scenic views. The stretch is also liked elephants and Baboons. Continue to Mweya Safari Lodge for Lunch after which you will gather at Mweya Jetty to embark in the 2 hour boat cruise on the 45kmlong Kazinga Channel dubbed the Paradise of Hippos. The channel adjoins Lake Edward and George with overlooking sights of Democratic Republic of Congo. The range of birds, Nile crocodiles, Hippos and other wild game drinking on the channel side may not be missed. Retreat from the 2 hour activity, do a game drive along the channel track as you connect to the lodge for dinner and overnight. After breakfast, embark on a thrilling game drive across the rolling savannah plains of Queen Elizabeth National Park that stretch across the Albertine flats. The game drive which starts as early as 6am offers you possibilities of encountering a range of wild game including four of the Big five Land Animals including lions, leopard, elephants and buffaloes. The well placed tracks in Kasenyi traverse a common dwelling for this wild game with additions of side stripped jackals, water buck, Uganda Kobs, among others. The activity tend to take 3 – 4 hours after which you will return to the lodge for relaxation and lunch after which you will drive to Kyambura gorge in the East of Queen Elizabeth National Park commonly referred to as the Valley of Apes for a thrilling Chimpanzee trekking encounter beginning at 8am. The hike through the steep sides of the gorge marked with lush tropical forest thriving below sea level with the views of the River lowing on the gorge floor add spice to the entire experience. The encounter with chimps as they roll themselves in the tree branches, gather fruit, make pant hooting calls and socialize will make your one hour direct encounter with them memorable. Retreat from the activity which tends to last 2 – 5 hours and embark on the transfer to lodge for relaxation, dinner and overnight. After a relaxed breakfast, you will embark on the sun rise boat cruise on the Lake of a thousand Islands – Lake Bunyonyi exploring its main Islands while listening to the local stories about the Lake and its Islands from the local guide. The sights of the birds like Cormorants may not be missed while the magical scenery of Kigezi Highlands will all be around you. Retreat from the activity and return to lodge for lunch and after which you will embark on the transfer to Lake Mburo National Park 199km about 4 hours’ drive from Lake Bunyonyi. 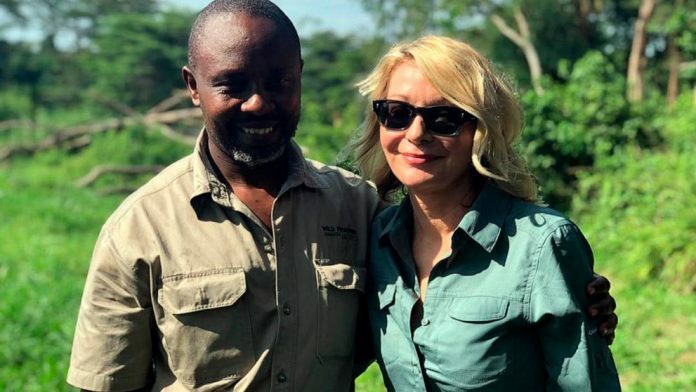 You will make a stop at Igongo Cultural Center for lunch after which you will proceed to Lake Mburo National Park doing a mini game drive before connecting to the lodge for dinner and overnight. After breakfast, embark on a game walking safari which allows you to explore the game on foot. The sun rise views of the acacia savannah landscapes of Lake Mburo National Park dotted with counts of Impala, Topis, Zebras, buffaloes, water bucks, elands, wart hogs among others generate ultimate Africa safari memories. Hiking up to Kazuma Hill to gain the impressive views of the the five lakes that have stretches in the park is also rewarding. 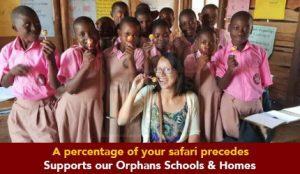 Retreat from the 3 – 4 activity to embark on the transfer to Kampala 240km about 3 – 4 hours’ drive excluding stops en route. You will make a stop at Uganda Equator crossing Kayabwe to take amazing pictures and encounter the water experiments that justify the geographical divide between the north and southern hemispheres.